Atari has announced that yet another title is under development for the Nintendo Revolution, this time a Dragon Ball Z game. 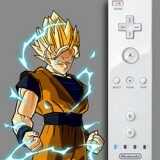 In a press release earlier this morning, Atari announced Dragon Ball Z: Budokai Tenkaichi 2 for the Revolution, saying that, \"The... controller featured with Nintendo Revolution is perfectly suited for Dragon Ball Z... which engages players with fast-paced fighting moves.\" Dragon Ball Z games on the current generation have mixed fighting with RPG elements to varying degrees of success. We\'ll see how that translates onto Nintendo\'s new platform. April 1st is coming to an end, which means that news in the video game industry is about to become reliable again. April Fool\'s day is our industry\'s chance to have a little fun, and you\'ll be hard pressed to find a game site that hasn\'t indulged in a jokester post somewhere in its past. Any serious news that even has a hint of sensationalism will be held until the 2nd in favor of the bland or the fake; no one will believe any major announcement. We take a look at a few of our favorite jokes from this year, assuming they\'re all really jokes; with some ideas it can be hard to tell. GameTap, the broadband gaming service that allows users to download classic games ranging from recent PC titles to classic NES, Genesis and Dreamcast games, has recently announced two major improvements to the service: First, GameTap TV has finally launched, bringing a wide variety of video programming to the service. Second, major price drop. These are two of the things we like best: TV and saving cash. George has the details on the GameTap changes here.